Start Here! Next training begins 12th January! Maybe you are a wise woman in your community ( admit it ) or you're the mama brave enough to create a new way of relating in your community or you're committed to making a difference with the women and girls (and men) in your life. Maybe you are a healer or have a spiritual calling and it’s time to powerfully set your soul baby on fire. Or perhaps you are already a leader of women, but your yearning for depth has made you confront your need for new skills, self-healing and real-world training. And that you need this now. You are yearning for a learning opportunity that will take you to new levels of womanly insight, mystical depth and skilful ability so you can powerfully deliver your unique Sacred Feminine Gifts into our world. Since 2012 the Sacred Feminine has been rising. Wave after wave of women have been hearing the call to stand in their power, spread out their wings and explore deeper levels of sisterhood, connection and empowerment. I’m Reverend Lhamo Lotscher and holding women’s circles since my teens has been like attending a sacred university. There is no better way to embody mysticism and bring soul work alive than in sacred circles of women. When women come together and talk about our bodies, our sexuality, our rites of passage and our inner selves - understanding, education and therefore change - happens. But when the Sacred, our collective knowing of the Divine as feminine sits in the centre of that circle, magic happens ~ it is the stuff of miracles. Women become powerful when they sit in sacred circles, it's no wonder that this was forbidden for hundreds of years. Every woman, if she chooses to, at every life stage and rite of passage, can be surrounded and supported by a circle of everyday real-life wise women. Unfortunately, I know of the danger of this popularity, too. White women’s ‘learnt-in-a-book’ spirituality can also co-opt this resurgence of our embodied, womanly and authentic call to meaning. A circle held badly can cause more harm than good. While a circle held too superficially -- without the skills and tools to hold depth, shadow and trauma -- can become feeding grounds of wounded collusion, and can unintentionally contribute to the continuance of women’s inhumanity to other women. Maybe you have been to a circle before and the spirituality felt foreign, or the sharing become one-sided or just unsafe. Maybe you started holding a circle but stopped because you didn’t know how to be with another’s rage or grief without being overwhelmed by your own. Maybe you didn’t know how to lead and be vulnerably transparent at the same time. Maybe you are looking for someone to give you skills without making you follow a structure that makes you feel like you’re stealing another’s culture. Maybe you are looking for guidance and training so you can find your own way. Perhaps you just don't know where to start. In fact, you don’t have to follow or co-opt somebody else’s prescribed spiritual method. You can gain the skills and self-mastery to unlock your own. A comprehensive circle leadership training that takes Lhamo’s 30 years of bare-boned Sacred Circle work, Interfaith Spirituality, Somatic Psychotherapy, Assertiveness, Self Esteem, Conflict Resolution and Communication Facilitation Skills as well as the gnosis of her own divinely gifted courses, to enable you to birth YOUR soul work and vision of sacred community, wisdom and women’s leadership. 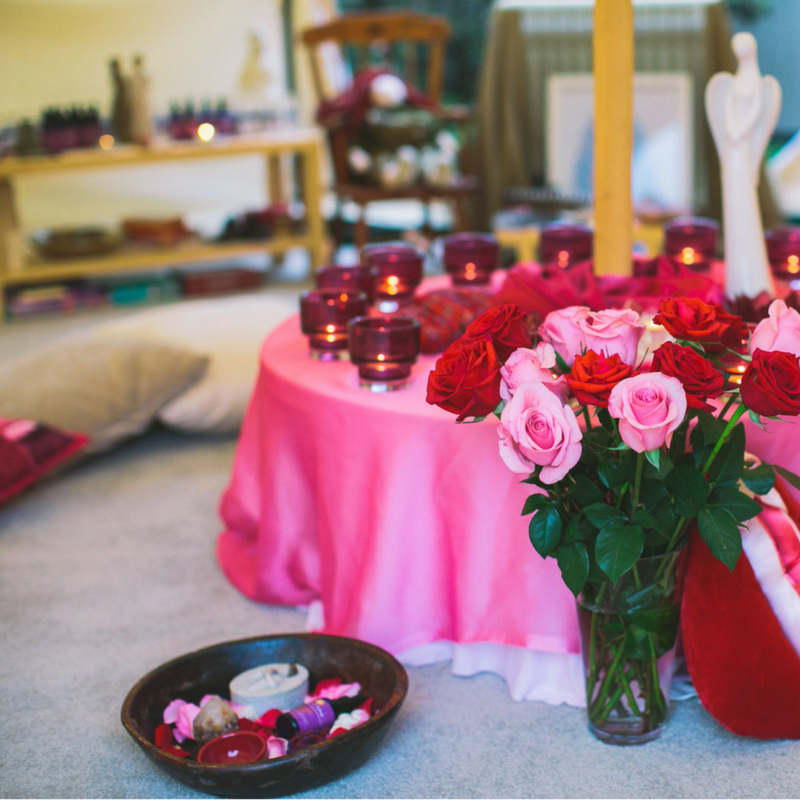 In our grounded, women centred and transformational Sacred Women's Circle Training programs, you will learn how to unpack your Sacred Feminine gifts from the inside out. 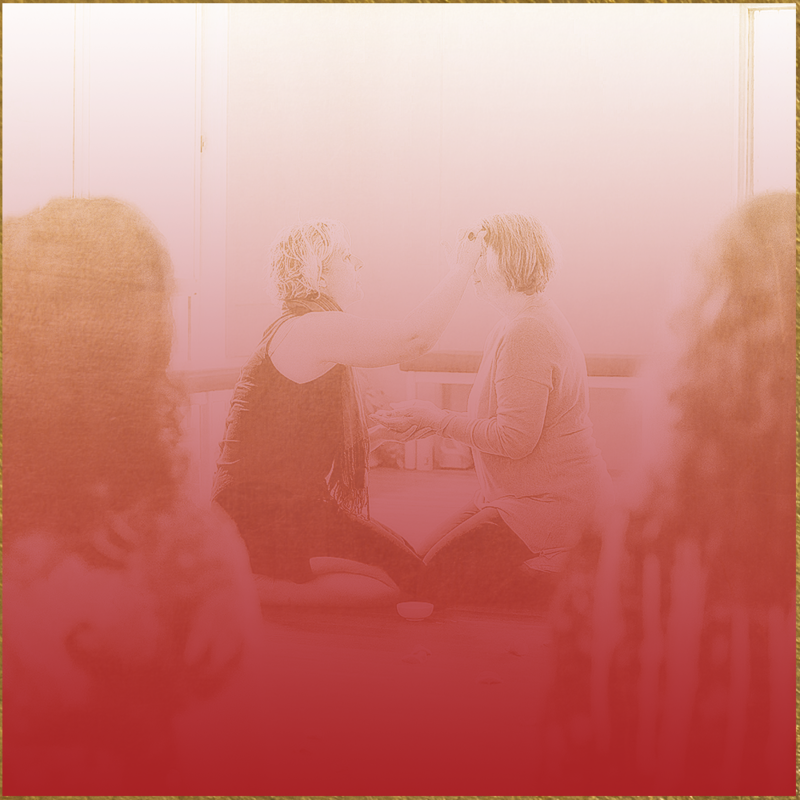 With reverence and play, you will learn the tools to inspire others while also staying connected to your most vulnerable feminine self. You will skilfully be given opportunities to practice being an inspirational woman who leads her tribe with humility, uniqueness, equality, authenticity and sovereignty. 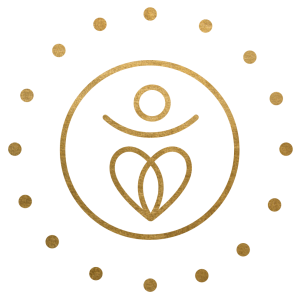 Our aim is to support you to know from experience, that you really do have everything you need within you to hold and lead incredible women's circles. If you are playing by the safe shore of the sacred. In this course I faced a big chunk of my shadow, I discovered my voice and during the training I took a big leap of faith, launched my own sacred work, I literally felt the fear and did it anyway. The universe truly does have my back!! Lhamo is an amazing woman who exudes understanding, mysticism and light. Her knowledge is so deep and so interesting I could listen to her for days, but most importantly she teaches that her way isn’t the only way, that we can each bring our own uniqueness to our circles. Training designed to give you the tools, structure, safety and sacredness to confidently lead your own women's circles. This comprehensive training is ideal for women new to circle leadership or those seeking greater confidence and skills. In this beginners workshop, you will learn the essential practical tools to create, hold and lead a women’s circle. 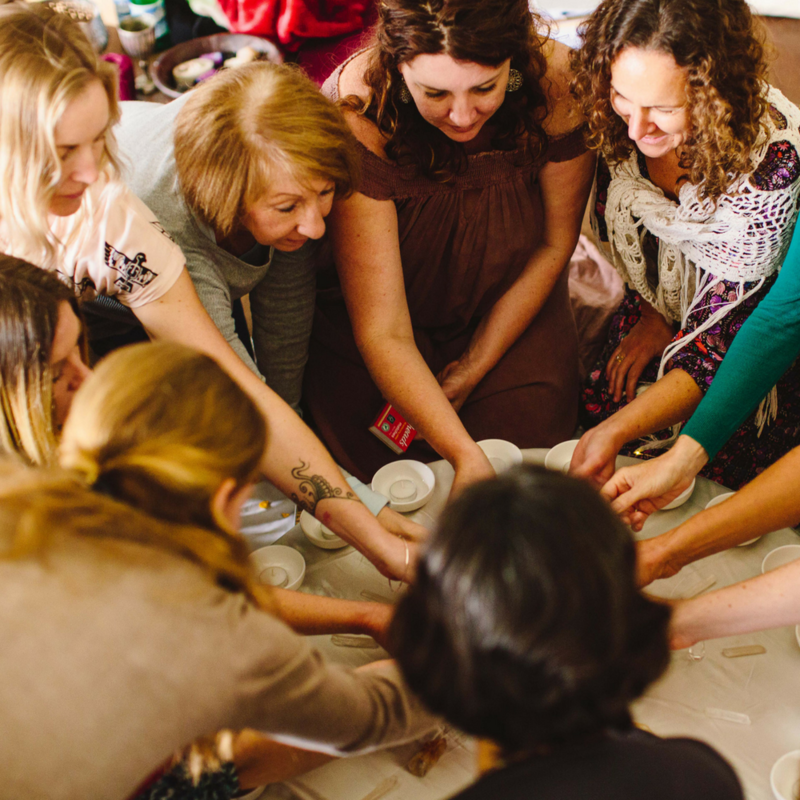 If you’re new to Women’s Circles or know that something isn’t right in the current circle you lead, this training will provide the skills and training to enable you to lead with confidence, authenticity and confidence. You will also receive a manual designed to be the adaptable bricks and mortar for you to pour your circle vision and passion into. Walk away from this weekend able to run a wonderfully enriching circle that keeps women coming back. 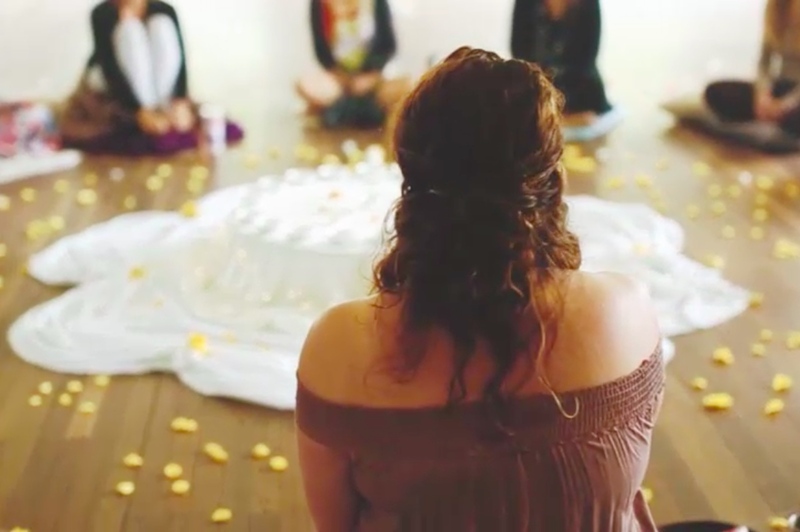 What makes a sacred circle different from other gatherings of women? Clarifying what is your offer? What is your why? In the mastery training, you will learn all that is covered within the weekend intensive and also learn how to create joy, nurture authenticity, hold the healing of trauma (without re-stimulating or re-wounding it), and behold angry and challenging participants. You’ll gain knowledge and skills to make sure that your circle not only grows and supports you but becomes a place where your consciously created community thrives. This 7-week mastery training is a core unit of the accredited Sacred Woman Priestess Training, for which you can gain a credit point if you wish to enrol in that course at a later stage. Every evening will consist of : Circle time (individual sharing), teaching, processes, ceremony and a closing circle. Every week will have a separate topic with unique material, however, the intimacy of the group and the intensity of the course will build each week. It is recommended you attend at least 6/7 of the evenings. I found the whole course accessible, comprehensive and applicable. It offered me great tools in building my vision from logistics to skills, to holding my objectives and actually creating my sacred work. I use to compare myself to other women, I sized them up and I judged them AND myself. Now I know what it is to see through the hologram and see all women as part of me. If you are thinking about joining - Do it! There is so much valuable content covered and Lhamo just holds such beautiful equanimous space. She holds you to do your own work, to do you. In my sacred work, I am now doing Me and that’s all I want to be. I am taking away from this training a sense of comfort and expansion, a strength in my own uniqueness and a strength in my femininity. "Lhamo’s breadth and depth of wisdom will inspire you to uncover more of your own. 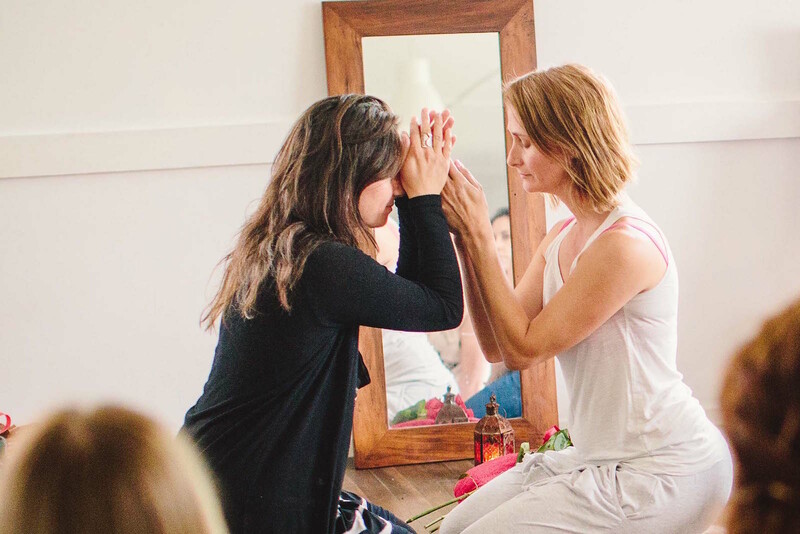 This course was all about intention, clarity and connecting to what feels true for each person. I specifically enjoyed learning aspects of my herstory, the Priestess Arts, sacred witnessing, and wise speaking and listening. Through this training my commitment to my own path has strengthened, I’m aware of where I’ve been hiding and I have a greater awareness of containment and my thirst for uncovering herstories has reached new levels. This training gave me practical skills to hold space and many Ah-ha moments specifically about what was authentic for me. If you feel called to do the training, follow it. Lhamo’s message truly is centred on Sovereignty and self-mastery." "I joined because I needed to be held by other women, I needed safety for what is coming and I wanted commitment and activation to my path. I absolutely recommend this training! It shows and guides you to find your own way of creating beautiful unique women’s circles and to be accountable for your own work, master your craft and exercise your self-respect. I am taking away from this training a sense of comfort and expansion, a strength in my own uniqueness and a strength in my femininity. Lhamo sees women from the heart. She will guide you gently to find your own way to master your emotions, release of your trauma and create something beautiful if you wish. Her knowledge and inner wisdom will hold your deepest secrets and make way to find your soul purpose. In this training, you can bring life to the genuine you that is waiting to be released." The perfect option for the woman who is ready to be a Sacred Woman in her world. "I use to make decisions from my head, now I make decisions from my heart. I feel more empowered as a woman and feel more connected to my body. This training has helped me embody love and helped me connect to myself on such a deep level. I would have resisted joining because of my fear about being articulate enough, now I have busted my fear and I feel confident holding space for other women. Lhamo is such an empowering woman who holds herself with such respect and integrity. This training is like no other and the amount of knowledge and wisdom bestowed upon participants is paramount. Your work is phenomenal, Thankyou, for helping me come back to myself." "Self-doubt could have been a hurdle that stopped me from joining, but thankfully, the call within myself to give other women the chance to experience sacred circles was more important. In this training I learnt greater self-awareness, increasing containment and the grace of holding circle. Lhamo teaches from a place of true empowerment and not from a marketing funnel mentality. She really does say ‘don’t follow me but find your own path’ and then she provides the tools to do this. 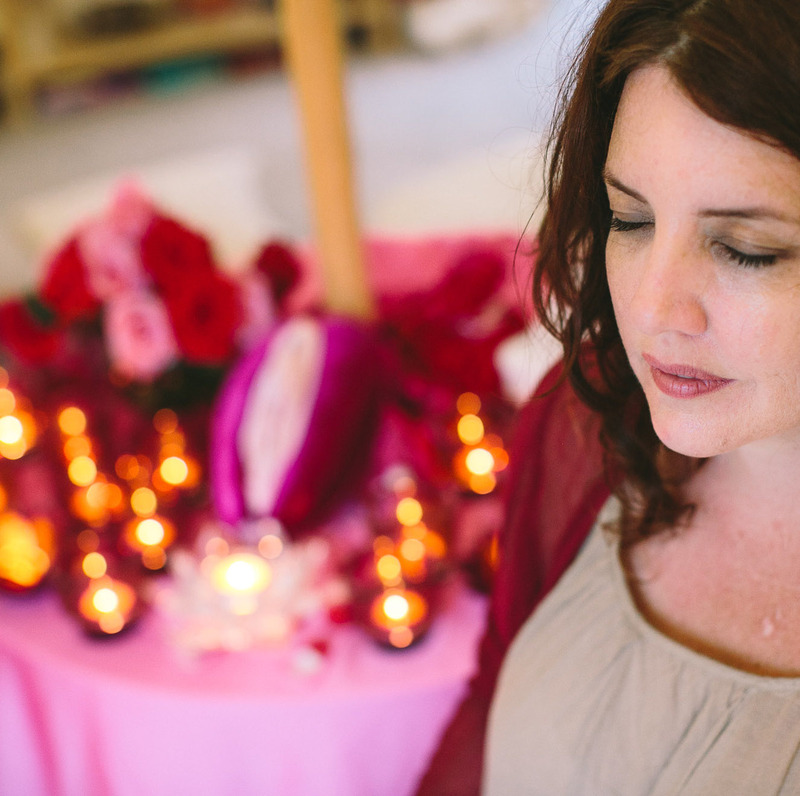 If you are aching to reconnect with Spirit and release your soul work, then sign up. Bring, your fears, bring your hopes, bring your wisdom and trust in the journey. Lhamo’s work is priceless." "I use to look outside of myself to see what I wanted to bring into my sacred work, whereas now I've finished the training, I really feel within myself to what it is that wants to come out. I recommend this course because it was filled with encouragement for me to find my own way to lead, create and hold sacred space. This is my kind of self-empowerment. Most training teaches you a system, Lhamo teaches you to find your own way. If you want to be radically authentic with where you are at and what you are creating in your sacred work, Lhamo is your Priestess." How do you choose the one that is right for you? 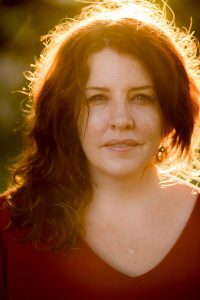 The Sacred Woman training at Ministry of She not only provides a framework for you to launch your authentic work but offers the skills and insights to support your soulful uniqueness and individuality. It’s not prescriptive. Is it possible to meet the goddess overnight? Of course! However, experience cannot be faked. I bring three decades of sacred circle work, Interfaith Ministry, the depth and breadth of psychotherapeutic tools and 20 years of offering my own Spirit-inspired work to this training. My commitment is delivering courses grounded with usefulness, wonderment and transparency. At Ministry of She, you’re in safe hands. It's time. The Sacred Feminine is rising. to make a loving difference in your world? I’m not in the Gold Coast, but would love to do this training. Will you be offering interstate weekend workshops? Yes. Lhamo will be taking Ministry of She's trainings Interstate and Internationally in 2019. If you’d like to host a course in your hometown, all you need is 8-12 women, a space to make sacred, and let us know. Click here to send Lhamo and team an email. I live overseas, do you offer an online program? All of Ministry of She's Sacred Woman Programs are run in person on the Gold Coast. We hope to have an online circle leading program sometime in 2019. In the meantime, Lhamo does offer one to one mentoring sessions if you would like support to get your circle up and running. I’d like to run men’s circles. Do you offer men’s circles training or does this training do the job? After 25 years of partaking in, holding and teaching women's circle work, in 2016 Lhamo stepped into the sacred world of men's circles and journeyed for 2 years with an incredible circle of men. From this experience, Lhamo learnt two significant things: Universal Sacred Wisdom is universal wisdom, it is true for all people no matter the gender and men born as men process the world, their emotions and sexuality in vastly different ways to women born as women. This training covers the structures and basic principles of all circle work. However, this course does not cover the material for you to teach or share in your circles - that is your sacred work. These trainings are also women only. I’m already running a circle, which training should I choose? Both trainings are equally valid and ideally, choosing both options is best. However, if you have to choose between the weekend workshop or the 7-week course, ask yourself if you’ve started running a circle and have stopped because of a lack of confidence or running into some murky issues. If so, it would be best to start with the Weekend Intensive Workshop. This will give you the framework (and confidence) to run circles of high integrity. If, on the other hand, you are running circles to a degree of success, you may wish to polish and deepen your skill set, and in this case, choose the 7-week training. I’m scared of appropriating another culture’s tradition but have lost touch with my own. What spiritual tradition is the circle work based in? The circle work that Lhamo teaches reflects her deeply personal and lifelong Interfaith journey. Interfaith spirituality celebrates the uniqueness and value of all faiths and religious traditions. It is entirely possible to hold sacred circles without following Druidic, Celtic or First Nation American influences. It is entirely possible to hold sacred circles in a way that expresses and honours your ancestral and personal beliefs, in these training Lhamo will show you how. 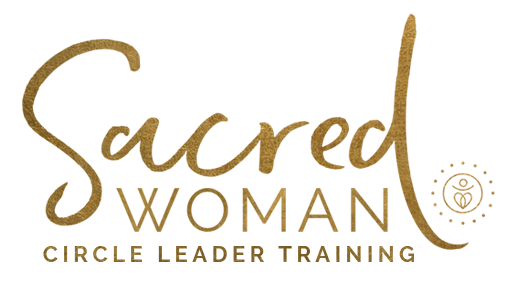 Cultural appropriation and white-centric leadership are explored in all Sacred Woman Training. Sacred Woman is for women intent on honouring their embodied mysticism and celebrating the gifts their soul has to bring to the world at this time. As an Interfaith Minister, Spiritual Counselor and Priestess, Lhamo guides women to uncover their own path and to connect to the Divine within. While you will trace and uncover the spiritual lineages of your ancestressal inheritance, you will ultimately unlock the deep inner knowing that is your Soul Wisdom. All faiths and spiritual traditions, including none, are honoured in this training. Your body of sacred wisdom is within you. All payments processed through PayPal. Prices include GST. Please read the Terms of service before purchasing. I understand that in this age of shiny spirituality, we can feel unsure about what is truly calling us and what is simply glamour and seduction. I also know that sometimes you just need to hear the voice of the human being behind the words on a page, so you can feel into whether this is right for you. If that’s you, and you’d like to speak with me directly before you book the training, you’re welcome to schedule a free 15-minute call with me Reverend Lhamo Lotcher (not an assistant or facilitator -- directly with me). I've joyfully crafted this training for those women who are truly serious about the responsibility of a Circle Leader, and if that's you, I lovingly invite you to click the link below and schedule that time to talk with me.